Seventeenth & Irving: PSSSSTTTT...DID YOU HEAR? 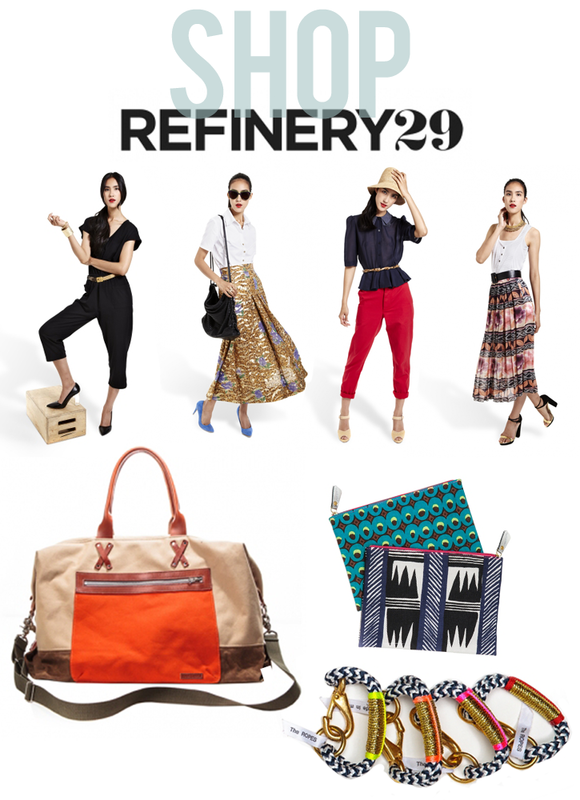 Are you a fan of Refinery29? I love browsing their street style images, their local coverage of fun things to do in your city, and their beauty tips. But today, Refinery29 took it to another level with the launch of R29 Shops. Unlike any other site, R29 Shops features styling tips and exclusive content. You can look forward to brands like Steven Alan, Rebecca Minkoff, and Clare Vivier with custom collaborations, mini boutiques, pre-orders, vouchers, and more. Right now, you can read about designer Erin Featherston's summer wardrobe staples, shop the closet of Refinery29 editor-in-chief Christene Barberich, or scoop up curated goodies. My current favorites are this classic weekender, these versatile pouches, or bracelets you'll wear all summer long. The good stuff goes quick, hurry and sign up so you don't miss out on your favorites!